Start a new chapter with Ever After High, where the teenage sons and daughters of famous fairytales decide whether or not to follow in their parents’ fabled footsteps. 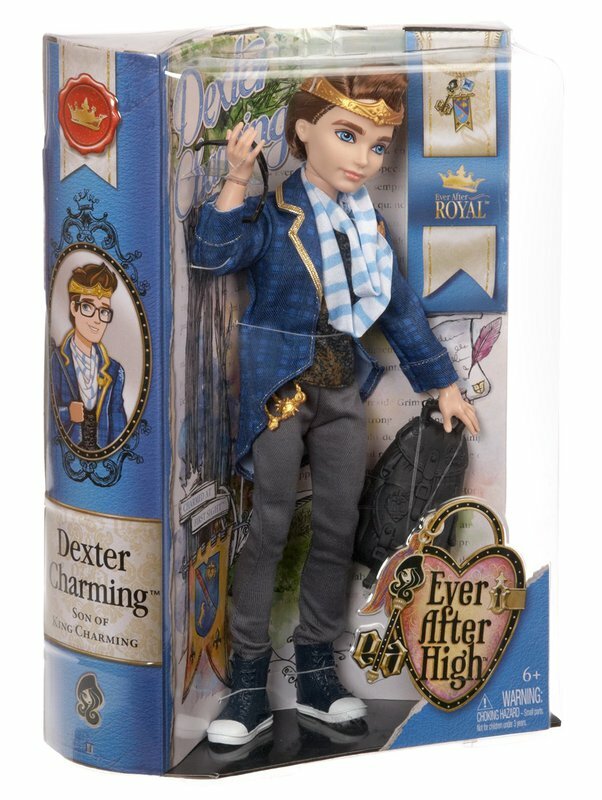 Dexter Charming, the endearingly awkward but royally heroic son of King Charming, is a member of the Ever After Royals, who embrace their prewritten destinies. Hexcited to have happily ever after, this Royal is trying to live up to the family legacy of being an epic prince. He unknowingly hides his charms behind his glasses, but remove them and watch the girls swoon! 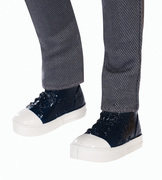 He looks absolutely princely in a printed graphic t-shirt with the Charming family crest, a plaid jacket with gold detail, gray skinny pants and pleather hi-top sneakers. 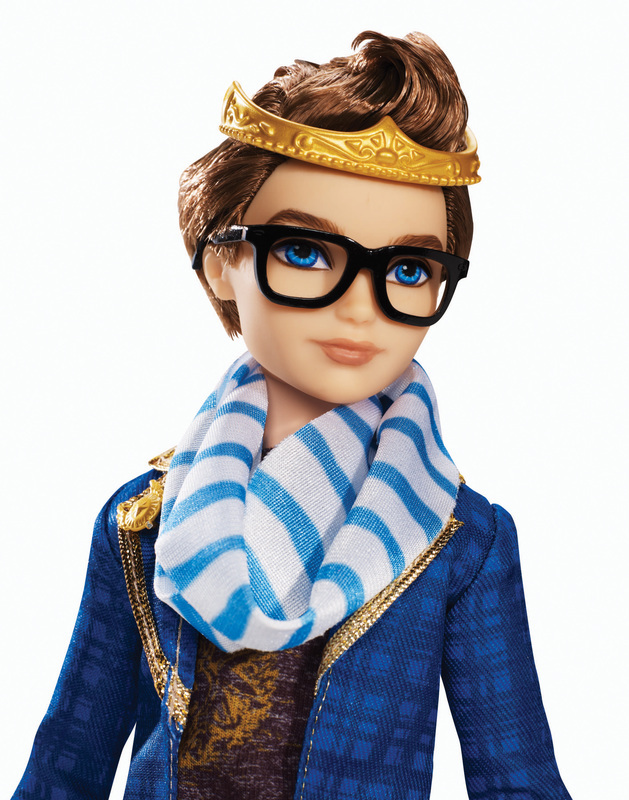 Royal accessories include a golden crown, striped scarf, chain belt and slate one-shoulder backpack. Doll comes with doll hairbrush, doll stand and bookmark that tells his hexclusive side of the story. 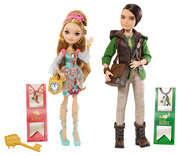 Collect all of the spellbinding students of Ever After High (sold separately) for hexquisite display and storytelling fun. Ages 6 and older. 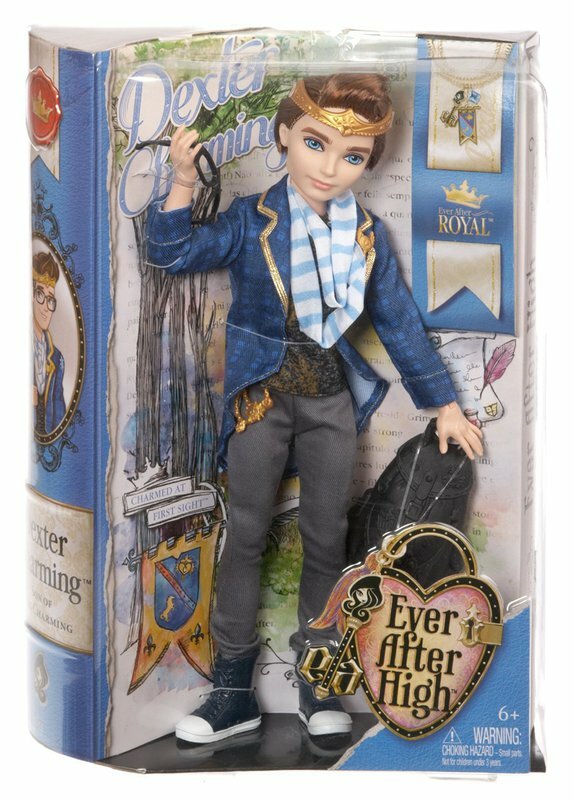 Dexter Charming, the dashing son of Prince Charming, is excited about his destiny and a member of the Ever After Royals. The posable doll is dressed in a charming outfit that adds a modern edge to his father’s legendary look. 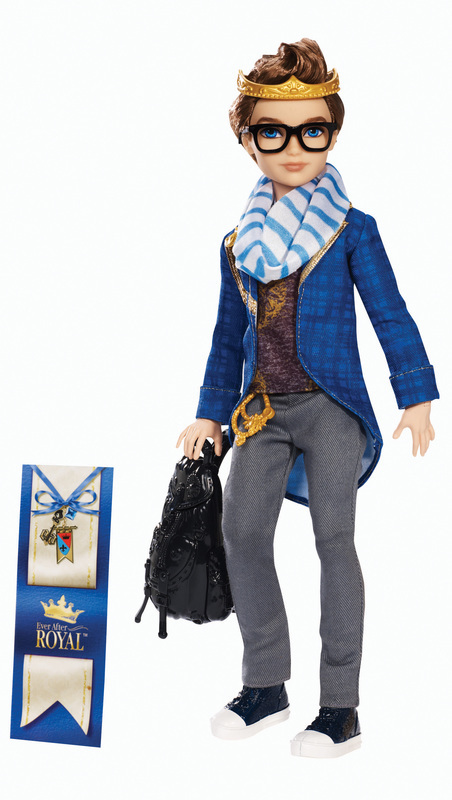 His hexquisite outfit has wicked awesome details, luxe fabrics and Charming-inspired accents. Royal accessories include a golden crown, striped scarf, chain belt and slate one-shoulder backpack. He also comes with a doll stand, doll hairbrush and bookmark that tells his side of the story.